SMSL Sanskrit 6th. The DAC that gives to standard a name. 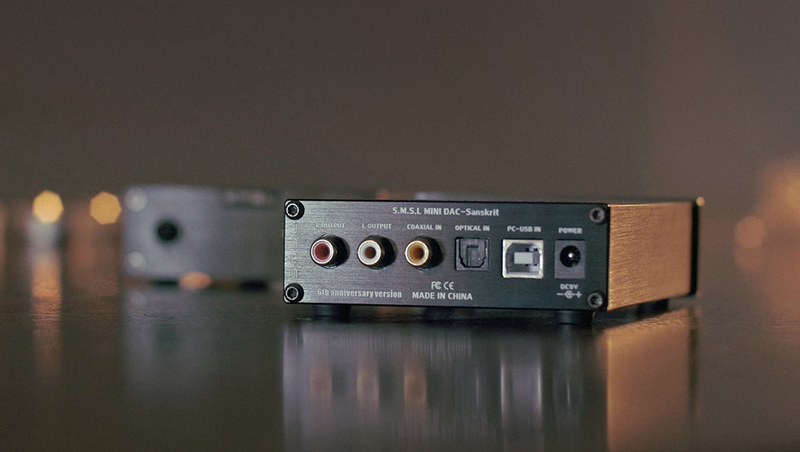 I remember the time when I started thinking about purchasing a DAC (Digital to analog converter) for my desk setup. It was the time when I was at the office sitting behind my desk and was listening to my KRKs (VXT6 Monitors) which are quite expensive speakers, hugely used as a standard for music creation with amazing reviews out there. But I honestly never was happy with them. I was just missing something in their reproduction of sound. I never tried to make them speakers they are not meant. Speakers for a listening. But even listening to just some work results. Well I just wanted more. I wanted to be impressed. Surprise me in parts of music I know. That kind of feeling when listening to them. So the trigger for me and reason I started thinking about buying a DAC was a natural need to improve the sound I had. Make it sound better. And that is the thinking I believe most people do have or come to later or sooner naturally. We just want more from the system we have got used to. After some time we just get bored. And then it’s never ending journey. Once you start this audiophile journey. You will never end. When you do some research. 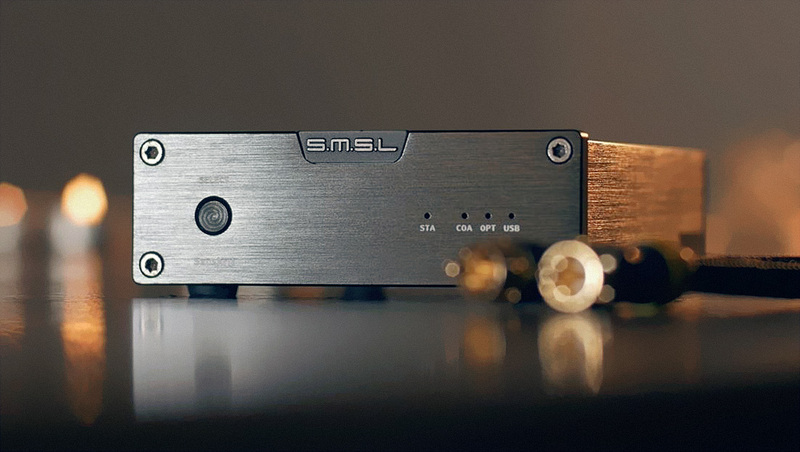 SMSL as a brand has built its reputation on on-line forums quite well thanks to their affordable products which are aimed for average consumers looking for HIFI separates ( DACs, amplifiers ) with a good value for their money. And the Anniversary 6th generation of this DAC goes in line with their idea to make HIFI products based on superior materials – components from big known brands and keep updating it as a technology goes. But keeping the price low. This DAC was first born in 2009. And from that time SMSL is keeping updating it. My natural need was to improve my current sound. But then as most of us I was wondering how much I need to spend on a DAC to really hear the difference. The build quality shares the traditional SMSL quality feel with that kind of simplicity and clean rough industrial look which I personally like. When you look closer there are some small details. For example the spiral texture on the on/mode button I never noticed before seeing the pictures for this review. The finish is classical, heavily used with majority Chinese brands nowadays which is black brushed aluminium but overall it feels nice and solid. All lined up well. No gabs. RCAs are gold plated. This DAC features all possible digital connections you will need for any system as it has traditional combo of USB type B port, Coaxial and Optical digital inputs. No analogue input. The output goes through RCAs pushing full 2V. All connectors are placed on the back of the unit as the power port. DAC is supplied with a power from provided adapter it comes with which is DC 9V 1.3A. USB port itself doesn’t power the unit when connected so power adapter is always needed. On the front is a ON/OFF button which works on a long press and also combines a mode/input selector switch on a short click. The input selected is indicated by small LEDs on the right side of the panel. Simple. And that is it. It is a digital to analogue converter so the most important is what is under the hood and how it’s combined together. Chipset includes CM6631A, WM8740 and JRC2114MD. Signal to noise ratio is 115db and dynamic range is 113db. Max quality input going in is 32bit/192kHz via USB. 24bit via coax or optical fibre. No native DSD playback. DAC is compatible with any PC (Windows or MAC) I tested it on windows 10 and no driver installation was need but SMSL provides on their website a driver in a case you will need it. When I got the chance to test this DAC it was in a time when I was previously testing M3. DAC also from SMSL and a portable DAC/Headphone amplifier from a brand called Topping so I can compare it to those for your imagination how it differs and also to Shiit Modi 2 which is quite similar to Sanskrit in features and sound signature to me. If you are starting experimenting with DACs or other parts of your system in an aim to improve your setup and you are on a budget there is nowadays quite good range of options from variety of brands. But usually when you start with the price lower that 100 US dollars what you find is definitely a compromise there and also there. If you know what I mean. And besides that also that kind of people’s chase after the latest DAC chipset used. People use it as a guide to that sort of safety proof it will be a good buy for them as it’s the best DAC chip available today . But the truth is. It is not just about the chip used but more about how it’s combined with other components of the DAC (amplifier). So, there is the magic of right engineering behind it. And some products you find just don’t have it or just can’t have it because of the production cost compromises made. But every product has its consumer, right? SMSL Sanskrit 6th with SMSL SA98 amplifier in a stack. 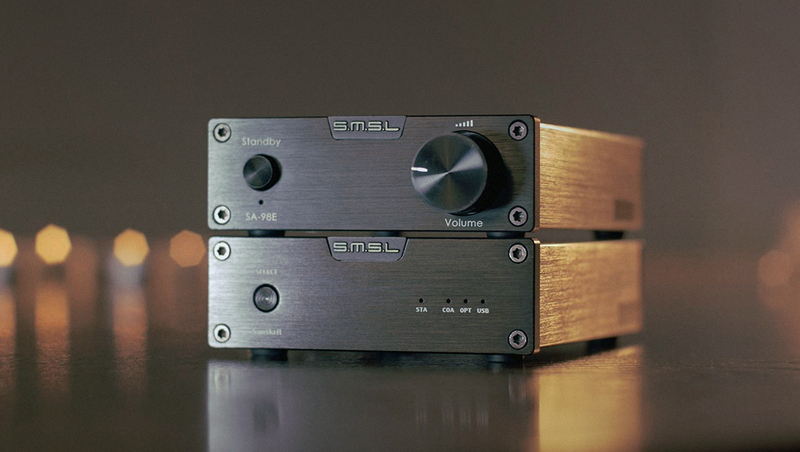 SMSL Sanskrit 6th is that kind of DAC that does it just right in my opinion. And doesn’t try to pretend to be more than it is. Overall the output of this DAC is very clean. Sound signature is on the cold side though. When I first plugged it in I was surprised how it differs to M3 which is more warm and lacks the clarity Sanskrit has. In comparison the sound stage opened to me quite a bit and the details popped up in all track I know. Sometimes I noticed details I never actually knew they were there when listening to M3 or the TOPPING before testing Sanskrit. But there is a clinical feel in a sound reproduction of this DAC and I would personally prefer a little bit warmer sound. I tried this DAC with different amplifiers and headphones. And also with two different speaker setups but the clinical feel was always there which extends if you pair it with some highs bright headphones. On the other side it can bring up life to some systems lacking the highs though. 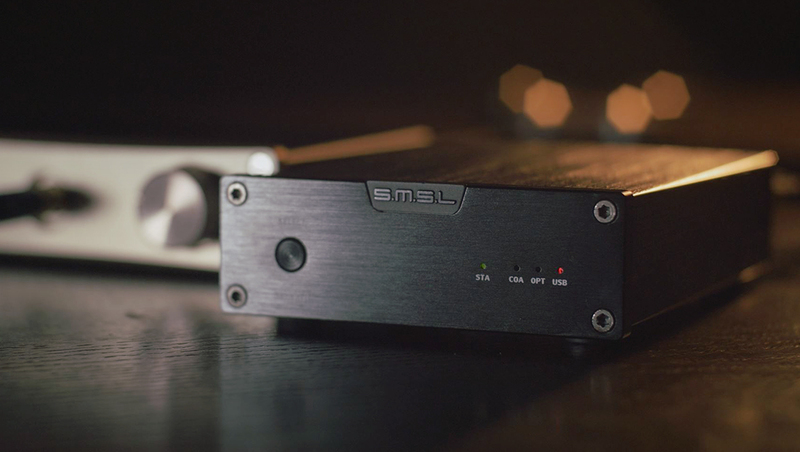 When combined with a class A amplifier SAP-8 from SMSL I reached more balance in the sound signature and more neutral reproduction which makes sense as the amplifier is smooth and slightly warm. When I felt a real pairing harmony it was when I connected this DAC to SA98 amplifier and Wharefedale speakers I also tested. What I got was a pure harmony I really liked and seemed like it all communicates in a magical budget harmony giving me a very neutral (well still slightly cold) sound with plenty of detail and music instruments separation. If you are looking for a DAC which already for most became a standard for a hundred dollars range. This is it. In my opinion this DAC clearly shows its history and the care of the engineers behind it. It provides you with a satisfaction as if you are an audiophile beginner on a budget and not owning any DAC before and still wondering if you really can hear the difference in comparison with the sound you currently have (onboard sound card or some active speaker’s setup) this DAC will give you a change to your listening experience and will become automatically a piece of an audio equipment which just you will feel simply belongs between the source of your music and the amplifier. Plus, if you don’t like the look of Shiit Modi 2 this is your option as they are very similar to me in every way.